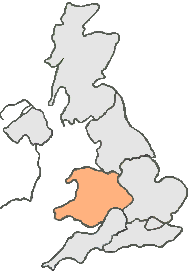 Cardiff, the capital city of Wales is also a major welsh transport hub. Parcels, packages and pallets in and out of Cardiff, are often transported using the M4, A48 and A470. Using these roads, helps Courier Expert’s same day courier drivers, find the fastest and most reliable routes. This ensures all our same day courier Cardiff deliveries, to anywhere in the UK, arrive on time and intact. So, if you’re looking for a Same Day Courier Cardiff call us now on: 02921 150779.